I created a “Patrol Board” at our headquarters some time ago. It has buttons that, when clicked, put a clickable link in local chat that will take the user to frequently-visited patrol locations. While I was updating the list of Infohubs and Welcome Areas, changing PG to General and Mature to Moderate, I visited each location to make sure the rating hadn’t changed. I started noticing some advertising in some of the Infohubs, so I went back to each one to write some Abuse Reports. Feel Free to Come ans Try! The Searchman avatars were always a cloud, never a human wearing clothing. By watching the radar and visiting the Infohubs, I managed to find 12 of the 19 serialized accounts. I didn’t check them all, but one account I noticed was more than a year old and was a member of at least three groups. But what is their purpose, and who is responsible for them? Does anyone know? Gallery | This entry was posted in Peacekeepers. Bookmark the permalink. I’ve started seeing a ton of these Searchman avis at infohubs that I pass while biking or sailing. Usually there’s at least two at each hub. I have seen a couple rezzed and they’re basic newbie avis. More bots I’m sure for who knows what purpose. I’ve seen an AMAZING number of bots sitting on the sides of the road, hanging out in infohubs, and standing on the bottom of the SL oceans. The name seemed to indicate that they were Linden Lab creations, or at least I jumped to that conclusion. But LL can probably monitor everything without needing to have a bot standing around. Some time ago, there were “Nox Bots” in the Ahern Welcome Area. As I recall, they were named “Nox + [some name],” and they stood motionless among the residents in Ahern. I noticed a guy pushing one around, so I tried pushing it across the boundary into a different sim. It teleported back to its original location! Of course what I’d really love to know is the origins and purpose of the “Harmless-light-legal” bots that are everywhere along the mainland roads. There’s very little I’ve found on that. Hmm… that does sound like something that deserves investigation. I will see what I can discover about bots in general and about those specifically. Cassandra, thank you for the great idea. hypothetical: they could be bots used by spammers/scammers to detect likely victims (new avatars with payment information for example) and alert the actual spammer/scammer where to go or who to im. Same system is likely used by spammers sending ims with group invites for expensive groups to random people. have a bot in a sim, masquerading as a regular visitor even (especially if the place is actively policed) and send the spam from other avatars elsewhere to avoid the bot being banned for the spam. I made a couple of Bot Hunting entries on this blog, under the “Fun” Category. It’s interesting to see where sim owners place them and how sometimes they are protected and sometimes not. The official Linden Lab bot policy was created October 5, 2009, and hasn’t been revised since July 8, 2011. Supposedly, you can identify avatars as bots using a link to the Scripted Agent Status page, but it might be hard to determine how many residents actually do that. yes, you can do that. And the Lindens will act against traffic bots (bots not so marked). I know at least one land owner who got threatened by LL to have her lands closed if she didn’t remove the bots, bots that weren’t hers but were camping bots placed there by others to leach L$. New policies to allow staff to eject and ban unresponsive campers and requiring regular (but at irregular intervals) responses from botters or they get kicked from the camping chairs mostly solved that problem. 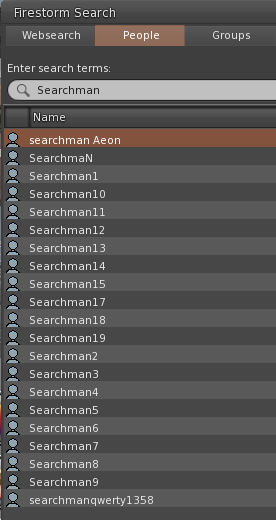 Finding bots that remain in a region for a while, hidden under water or using a full body alpha, just to skim the names of visitors, is a lot harder unless you have a very large staff online 24/7, sadly. Thank you, Iala, that is very interesting! Do you have a link to the policies about unresponsive campers? I’m thinking that policy could be worthwhile to have, so we could let sim owners know that they could get into bot trouble with LL.